With continual technology innovations, regulatory fluctuations, competitive pressures and organizational changes, the facilities management field is one of constant change. Given that, keeping abreast of all that’s happening in the FM world is certainly a challenge. Part of our role is to help. Regardless of your role (whether you’re a facilities manager or in an adjacent function, be it sourcing/procurement, finance, real estate & construction, etc.) knowing what’s driving the field, what others are seeing and doing, as well as what’s been happening industry-wide is imperative. Are You Surviving the Facilities Management World? Our team’s focused on all aspects of the industry to keep the ServiceChannel community apprised of the latest FM trends and insights. We highlighted a number of interesting stats and compelling data on the state of physical locations and the facilities management landscape in our popular ebook 2018 Facilities Management Survival Guide. This is just one example of the wealth of useful information in this guide. For example, a prior blog post detailed a number of facilities management best practices that we recommend you look into and consider implementing within your own organization. To see what some of these trends are, and how they could impact you, take a look at these numbers below. You might be surprised at what you see! Percentage of total retail sales that took place in brick-and-mortar stores in 2017*. Online shopping is gaining momentum fast however, growing at 16% in 2017 to an estimated $453 billion in total sales. In this challenging environment, a facility’s “Brand Uptime” will be even more critical in a store’s ability to attract shoppers coming through its doors. Amount of money that US retailers wasted* in 2017 by outsourcing their facilities management responsibilities to third party companies such as brokers. This is based on US retailers’ estimated $100 billion facilities repair & maintenance supply chain spend and outsourcing’s 20-27% “inefficiency tax” due to lack of automation, limited to zero operational visibility and other upcharges. These pitfalls are outlined in detail in this free white paper. Number of retail stores opened for every store that closed in 2017*. This rapid expansion contradicts the doom-and-gloom predictions of the brick-and-mortar store business model. Also reinforces the importance of strategic facilities management to ensure that stores operate as efficiently as possible for the benefit of a positive customer experience. Percentage of FMs who used smartphones in their day-to-day jobs in 2017, according to a survey of PRSM members*. Of this, 73% said they used their mobile devices to access service automation or CMMS systems regularly. Enterprise mobility is no longer the future of FM, it is now very much part of the mainstream. Percent increase in maintenance spend per location from 2016 to 2017*. 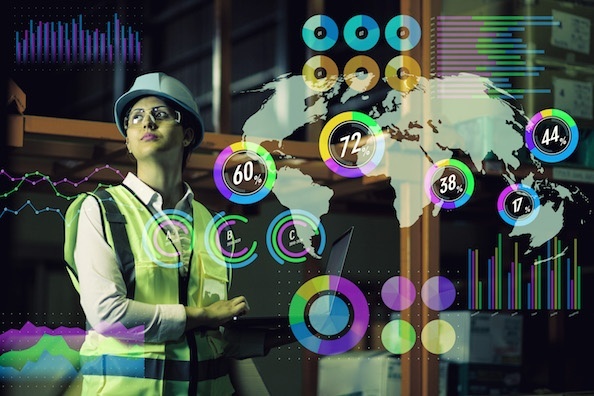 Companies, across industries, continue to invest in planned and preventive maintenance to ensure their facilities operate efficiently, under proper conditions to boost customer experience. Improvement (reduction) in time-to-resolution for repair work orders from using a service automation platform versus not using such technology*. After one year of deployment, companies saw average time to resolve repair issues decrease to 9 days from 22 days. If you haven’t, download the free Facilities Management Survival Guide today as you’ll be surprised at what you can find and what will help you drive success across your own organization and facilities management program.